Mission Australia is a non-denominational Christian community service organisation that has been helping people regain their independence for over 150 years. Independence is something we all strive for, but life rarely turns out as planned. Life’s complicated. We’ve learnt the reasons behind a loss of independence are different for everyone. Similarly, the paths to regaining it are complicated and varied. This informs the way we work. We offer a wide range of solutions over the long term, through early learning and youth services, family support and homelessness initiatives, employment and skills development, to affordable housing. Our nationwide team of over 3,500 staff uses different approaches, often applied in unison and inspired by Christian values. We’re joined in our work by governments, our corporate partners and everyday Australians who provide their generous support. Importantly, we all share a single objective – to stand together with Australians in need, until they can stand for themselves. Mission Australia works with government to deliver a range of community and employment support services that help individuals and families to stay housed, access education and gain the skills, training and confidence to find employment. We also work alongside community and advocacy groups, other not-for-profit organisations and businesses across the nation to stand up for people in need across Australia. We provide more than 570 services across Australia and assist more than 300,000 Australians in need each year. Search our Service Directory for your local Mission Australia service. Mission Australia’s Early Learning Services give kids the chance to learn and play in exciting natural environments, with vegie patches, bubbling streams and trees to explore. We also lay the path for children to develop a love of learning and make a smooth transition to school. We work with families to help them deal with those challenges that can tear people apart, such as problem gambling, domestic violence, drug and alcohol issues and long-term unemployment. Mission Australia also knows homelessness can have a devastating impact on young lives. This is why we do our utmost to help families keep a roof over their heads and create nurturing homes for the next generation of confident, capable and independent Australians. Mission Australia works with schools, families and communities to identify vulnerable young men and women who are at risk of losing their way early on in life. Mission Australia then offers support through tailored art and music, alternative education, body image education, mental health awareness and drug and alcohol programs. For young people who are homeless, in detention or have severe drug and alcohol problems, we offer hope and a path back through residential rehabilitation, supported accommodation and counselling. Our youth workers also help prepare young men and women for greater responsibility in adulthood by giving them the skills and certified training to live independently and find jobs. Mission Australia draws on our research – including the findings from our annual Youth Survey – to develop and deliver support services, and stand up for young people. Mission Australia seeks to address the underlying causes of long-term homelessness and disadvantage. We believe a focus on preventing homelessness and early intervention will have lasting outcomes. From our research and extensive experience, we know the devastating impact homelessness can have on a person’s independence, physical and mental health, their ability to find employment and access other services. In response, much of our work prevents individuals, families and elderly from reaching this point. Our wraparound support services include helping people into our facilities to receive immediate assistance, providing affordable housing, tenancy support, living skills, counselling, training and education and access to employment services. For decades Mission Australia has been helping people of all ages who have experienced barriers to employment – be it educational, personal or health-related – to gain the skills and confidence to find and keep a job. Catherine was appointed CEO in March 2014. Prior to this, Catherine served as Mission Australia’s Chief Operating Officer, and during that time held responsibility for functional areas including advocacy, media, marketing, fundraising, HR, legal, IT, procurement and property. With a law degree by academic background, Catherine has held senior management roles in a broad spectrum of fields across the corporate sector. She is a Director of Mission Australia Early Learning, Mission Australia Housing, Mission Australia Housing (Victoria) and Many Rivers Microfinance Limited. Catherine is passionate about social justice and actively speaks out against inequality on behalf of the people we serve. Our 3,500 dedicated employees across Australia, together with thousands of volunteers, each play their own special part, applying their unique skills to the pursuit of one, common goal – to stand together with all Australians in need until they can stand for themselves. Whether they are social workers, youth workers, counsellors, childcare workers, teachers, trainers, employment consultants, fundraisers or researchers – each makes a difference to hundreds of thousands of lives each year. On the frontline, our support service workers walk alongside ordinary Australians struggling with generational disadvantage and complex challenges that limit their independence. Others work from service hubs that provide a range of programs to disadvantaged communities, while many more support job seekers from offices in our cities, suburbs and towns. Behind the scenes, supporting our frontline staff, is a team ensuring the organisation’s efficiency. They look after our finances, property, vehicles and IT needs, and also help raise vital funds. In addition, our Chaplaincy team offers personal and spiritual support to members of the Mission Australia community. A bequest (also known as a legacy) is a gift of money or assets that you leave through your Will. Bequests are critical to Mission Australia and the people we support. They enable us to safeguard our vital community support services, ensuring we can continue to stand with Australians in need until they can stand for themselves. By leaving a gift in your Will to Mission Australia you will help young people, struggling families and people isolated from the community by homelessness or unemployment to get their lives back on track. People from all walks of life leave gifts in their Will to Mission Australia, and we greatly appreciate the thoughtfulness and generosity of each and every one of them. Even if you have been unable to donate during your lifetime, you can still support Mission Australia with a gift in your Will. 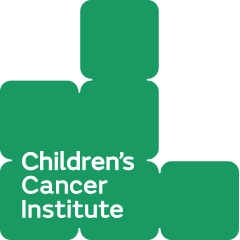 When you choose to take a stand, every dollar we receive – from donations to appeals, the ongoing commitments from our regular givers, or money from community fundraising events – makes a difference. 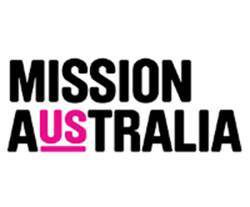 Want to work with Mission Australia? Click here to learn more. Mission Australia is blessed to work with thousands of people from all walks of life who selflessly donate their time and talents to help Australians in need. Among our volunteers are retirees, students, people wishing to make friends and develop new skills, and men and women who have been supported through tough times and want to ‘pay it forward’ in the community. Mission Australia also works with professionals, including employees of our corporate partners, who want to share their considerable expertise and experience for the good of the community.